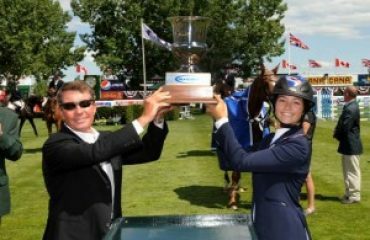 Calgary, AB, Canada – June 27, 2014 – It has been two days and two major victories for Richard Spooner (USA) at the Spruce Meadows ‘Canada One’ Tournament in Calgary, AB, Canada. Following a win with Cristallo on Thursday, Spooner jumped to top honors with brand new mount Uraguay in Friday’s $33,500 Duncan Ross Cup 1.50m. 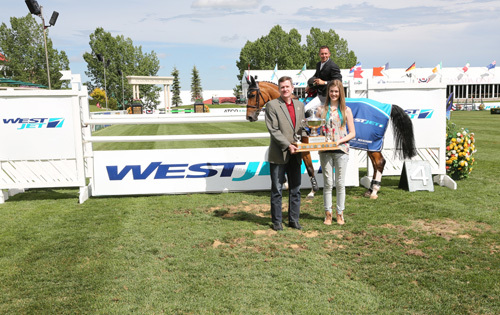 Eric Lamaze (CAN) also got a win on Friday with new horse Fine Lady 5 as well as taking second place honors aboard Check Picobello Z in the $33,500 Westjet Cup 1.45m. 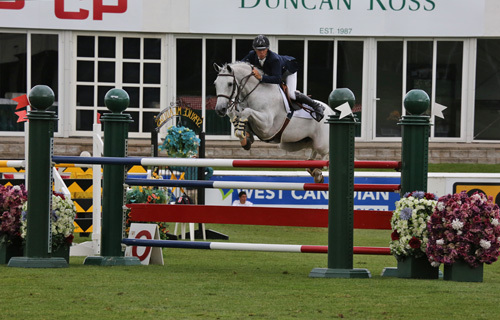 The ‘Canada One’ Tournament runs through Sunday, June 29, concluding with the $125,000 Imperial Challenge 1.55m. Cristina Larangeiro of Portugal set the course for 28 entries in the Duncan Ross Cup 1.50m with six starters advancing to the jump-off and five double clear rounds. Richard Spooner and Legacy Stables LLC’s Uraguay blazed through the short course in 33.45 seconds for the win. Ireland’s Darragh Kenny and Postage Stamp Farm LLC’s Prof de la Roque finished second in 34.05 seconds. Egypt’s Nayel Nassar and Lordan placed third in 35.75 seconds, and USA’s Quentin Judge and Double H Farm’s HH Donnatella finished fourth in 36.31 seconds. 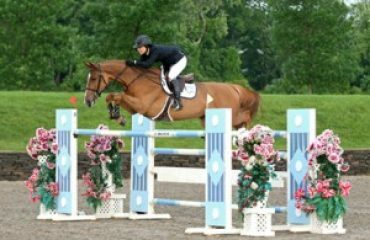 Paige Johnson (USA) and Salamander Farm’s Cambito completed the fifth double clear round in 39.67 seconds. 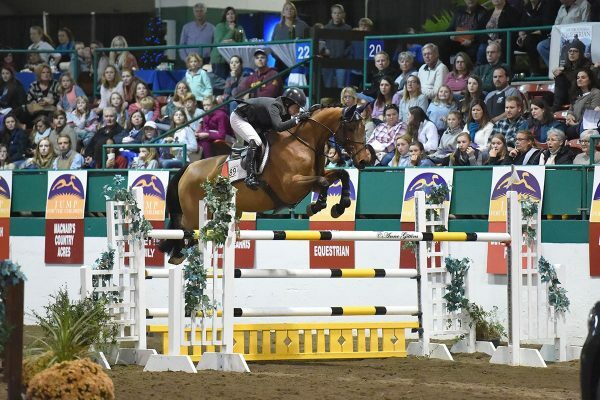 Uraguay, a 13-year-old Dutch Warmblood gelding (Nairobi x Colino), is a brand new ride for Spooner, but the duo proved a promising partnership with a bold jump-off round and a huge effort to the final jump on course this evening. 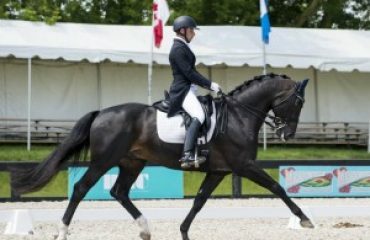 Spooner first rode Uraguay in Florida just before the start of the Spruce Meadows Summer Series in June and has only shown the horse two weeks before this competition. After a fantastic evening, Spooner has chosen to compete Uraguay in this week’s feature class on Sunday, and looks forward to seeing what they can do at the next level. Larangeiro set the track for Friday’s Westjet Cup with a very tight time allowed that caught many of its 93 competitors in the Meadows on the Green. In the end, nine entries finished with one time fault and three more had two faults on the clock. Only seven advanced to the jump-off, where Canada’s Eric Lamaze finished first and second with the only double clear rounds. Lamaze completed the fastest round in 31.84 seconds to earn victory aboard Artisan Farms LLC’s Fine Lady 5. He took second place honors with Artisan Farms’ Check Picobello Z in 35.91 seconds. 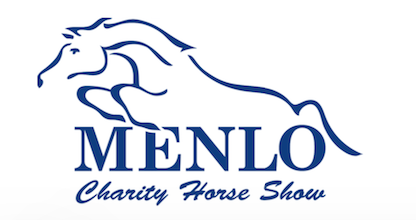 Ireland’s Richie Moloney guided Equinimity LLC’s Freestyle de Muze to a third place finish with two time faults over the short course in 37.04 seconds. 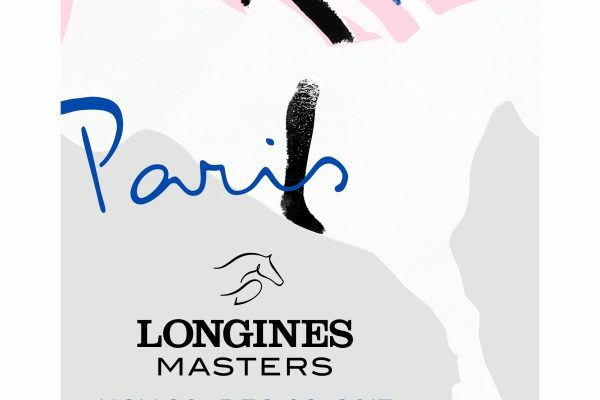 Lamaze plans to show Fine Lady 5 again in Sunday’s 1.50m competition as well as next week and will go from there. He had high praise for the mare and looks forward to continuing their partnership. 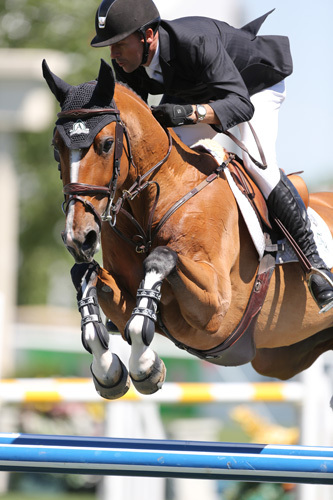 A technical course with a tight time allowed kept a lot of the riders out of the jump-off, and Lamaze knew it was not going to be easy when he walked the course, but he expertly qualified both of his mounts for the jump-off. Heading into the short course early with Fine Lady 5, Lamaze completed what would turn out to be the winning round. He then guided Check Picobello Z into second at the end. 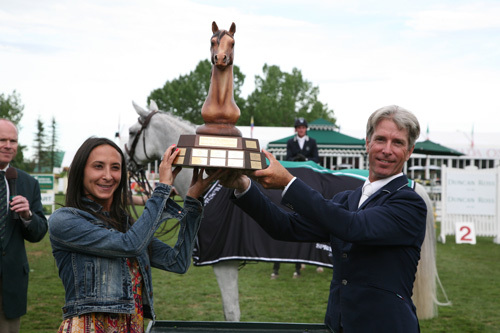 Competition at the Spruce Meadows ‘Canada One’ Tournament will continue on Saturday featuring the $33,500 McDaniel & Associates Cup 1.55m in the Meadows on the Green. 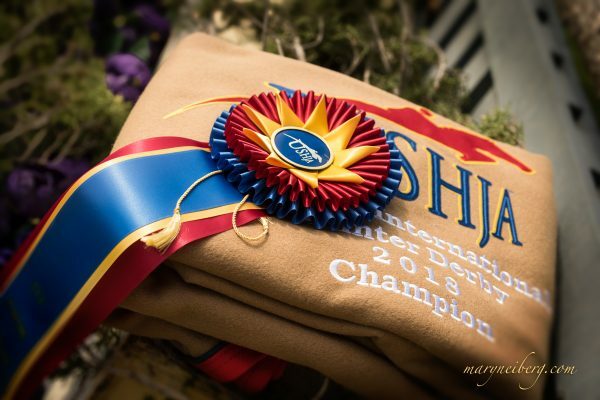 The $8,000 Francis Family Cup 1.45m will be held in the Chinook Ring in the morning. 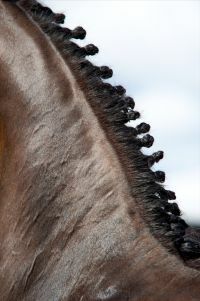 For more information and full results, please visit www.sprucemeadows.com.